No need to unplug the refrigerator to do a thorough cleaning of the freezer. Simply transfer your frozen items (including the ice from the freezer tray) into a cooler large enough to hold them. Using a soft cloth and a mixture of liquid soap and water, scrub (as vigorously as needed) the walls, trays, shelves, and detachable drawers, making sure to reach every nook and cranny. For an alternative cleaning solution, mix equal parts hot water and vinegar or a quarter cup hot water and two tablespoons of baking soda. Afterwards, wipe down everything with some paper towels. If you have extra time, clean the freezer door seal by wrapping a credit card in a cloth dipped in the cleaning solution and slide it through the grooves. If an unpleasant odor persists, place a box of baking soda inside. Vacuuming the condenser coils once a year will do wonders for your appliance's cooling efficiency. Condenser coils enable the refrigerant to be cooled. If a thick layer of dust coats the coils, the refrigerant can't be properly cooled down. 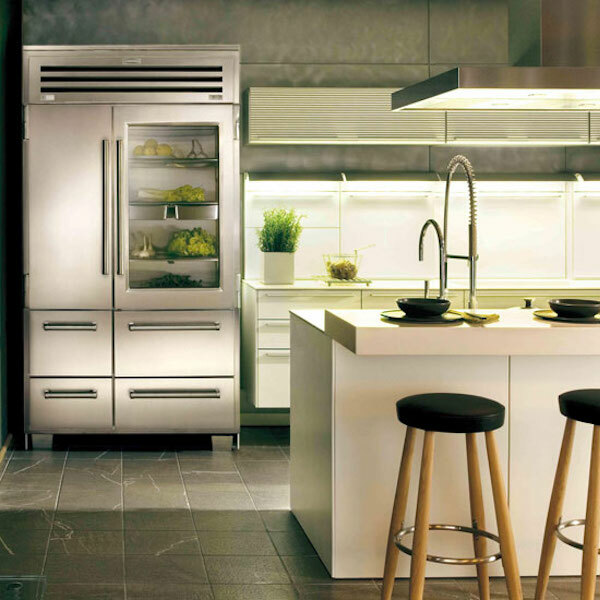 For newer appliance models, the condenser coils can be found below the refrigerator. Begin by unplugging the refrigerator. After that, remove the front toe grill to gain access to the condenser coils. Using a coil brush, run it across the coils to knock off any dust on top and around them. Once you feel confident you've removed as much dust as you can, move the refrigerator to vacuum the area underneath it. Move it back to its original position and attach the front toe grill. The ideal freezer temperature is 0 degrees Fahrenheit. Although most food technically freezes at 32 degrees Fahrenheit, storing food at 0 degrees slows down the process of deterioration. In order to determine the temperature your freezers runs, set a thermostat in a cup of vegetable oil in the freezer overnight. In the morning, if the thermostat reads warmer than 0 degrees Fahrenheit it could be a sign that air is escaping. To make sure, place a piece of paper or a dollar bill in the doorjamb. Close the freezer door and attempt to pull out the paper. There should be some slight resistance. A freezer runs more efficiently if it is not placed next to a heat source like direct sunlight, a stove, or a dishwasher. While freezer maintenance isn't a homeowner's primary concern, annual maintenance can maximize its efficiency and reduce downtime. Additionally, simple maintenance reduces the chance of spoiled food and expensive appliance repairs.